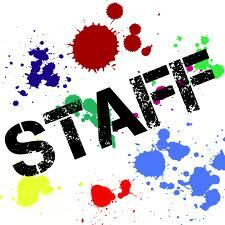 Youth Worker: 3 Reminders for Staff and Volunteers!!! This weekend I had a new weekend volunteer start. It was really cool to see her excited to jump right in and get started. While we were talking she told me that she felt God calling her to youth ministry with kind of a nudge specifically towards teen girls. It was great to see how excited she got talking about something she was so passionate about which got me thinking…I believe she received three things yesterday that we all need from time to time. Understand Expectations – Just loving on students is not a goal or expectation. Don’t get me wrong, I use that phrase a lot but leaders need to know in what way do we love on students. They need to be able to understand what you expect of them. So be clear in your expectation, and if it takes a long time to explain it than you probably need to look for ways to explain them as simple as possible. Express Ideas and passions – I have to remember that God called them to serve. He also gave them the passion for ministry. So I must not take that lightly and make sure they know that their ideas and insight are just as important as anyone else. I would probably say their insight is even better with them being on the outside looking in. Also, when a volunteer feels heard and valued they buy into the ministry even more. Allow them to express their ideas and passions. It doesn’t have to be done just the way you want it done all the time. They may surprise you and give great ideas and insight. Early Wins – I remember when I first started in youth ministry. Every win I would get gave me more confidence to keep going and even gave me the confidence to stretch myself and try new things. 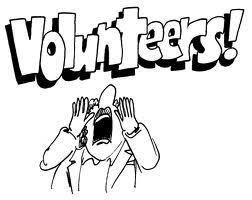 Volunteers are there not for monetary reward, but their reward is in the change they can make in others and themselves. If you’ve been in youth ministry for a while maybe you need to revisit the expectations that are set. How often do you get to share your ideas and passions? Maybe it’s time for a one on one with your boss. Maybe you need to take the time out to just reflect on some of the wins in your ministry. Sometimes when you’ve been in ministry for a while you can become numb to these three things. It can cause you to set your youth ministry on cruise control and you never really get excited or have that fire you once had for ministry. I know there are more, but I wanted to highlight the three that I valued as a volunteer and as staff. What would you add to the list?